The breakout new feature on the Apple Watch series 4 is the electrocardiogram (ECG or EKG) sensor that checks the rhythm of your heart. The sensor will alert you to serious issues like atrial fibrillation (afib), and has already properly alerted users who didn't know that they had this condition. While timepieces powered by Google's Wear OS lack the ability to measure heart rhythms, a new FDA ruling might change that for future smartwatches running the operating system. Today, Verily announced (via Engadget) that its Study Watch has received approval from the FDA for on-demand ECG readings. Verily is a research organization that is part of Google's parent Alphabet. The Study Watch is not offered to consumers, although it is available via prescription to health care professionals and adults with known or suspected heart issues. Now approved as a Class II medical device, the watch is able to "record, store, transfer and display single-channel ECG rhythms." Now that the ECG technology inside the Verily Study Watch (which gets its name from the various studies it has been used in) has been approved by the FDA, it wouldn't be such a leap to expect Google to use it for future versions of its Wear OS operating system. Or perhaps we will see Google finally introduce a Pixel Watch later this year with this ECG feature included. 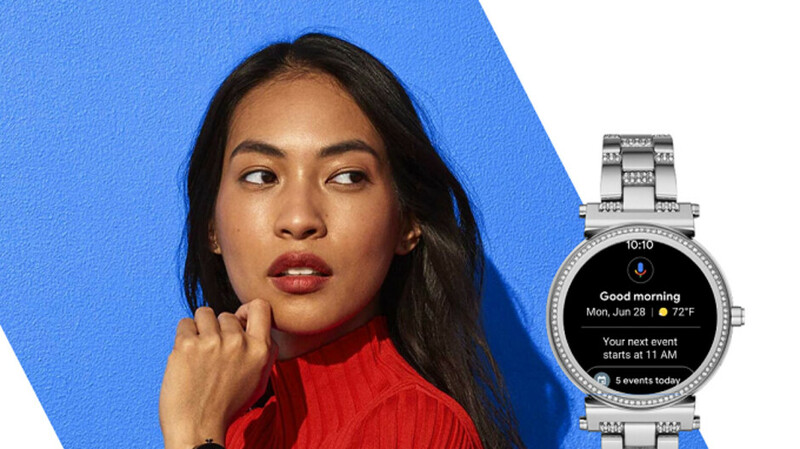 Besides the possibility of having an ECG sensor on future Wear OS models, Google also whet the appetite of fans by announcing yesterday that it has purchased IP from Fossil for $40 million. This technology is supposedly innovative and has features not seen on current smartwatch models. Good things are coming. Maybe not this year...but they'll be hitting 2020 right between the eyes! 0% to consider android watches. My health should only be guaranteed on apple data services. Your health is guaranteed or your privacy? An Apple a day keeps the doctor away is talking about the fruit, you know that right. It's your right to settle for second best, so go right ahead. I seriously doubt that a Pixel Watch is a possibility because it is not needed. Unlike Android, which is open source, Wear OS is closed and identical to all watches. So a Pixel Watch would have zero differentiating factor from all other Wear OS watches. Google would not have magically access to a better processor or any other technology that they would want to keep for themselves and not share with their partners. From whatever a Wear OS watch can do, the only thing that is rare to find between Wear OS partners is cellular connectivity, but I don't think that Google would release their own watch just to tell off their partners why they don't offer more 4G watches. Other than that a Pixel Watch could be just an uglier version of a Fossil Q Explorist 4 or a Skagen Falster 2. Wont matter because governments who can't be paid off (lobbied) like the US govt can are going to be very reluctant to give anyone approval for a moderately reliable single lead ECG that will end up clogging medical resources. LOL which governments can't be lobbied?